The Unites States is now free of Ebola, but throughout the virus' brief incursion into the States, one fact stuck out: if you got top-tier medical attention, quickly, you were okay. That's no exaggeration— only one of the four people treated for Ebola in the U.S. didn't recover: Thomas Eric Duncan, the Liberian native who first brought the virus to American shores. He died in early October, spurring angry accusations from his family of class and racial bias by the hospital that treated him. 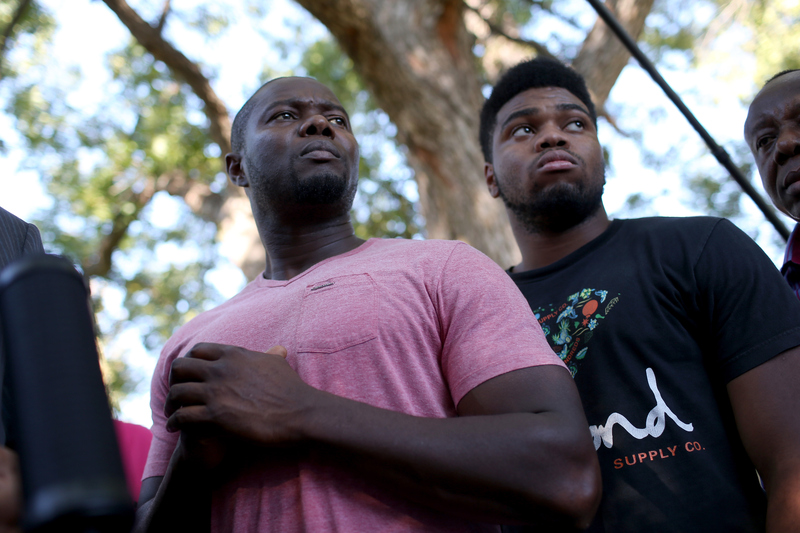 Wednesday, however, brought word that Ebola victim Thomas Eric Duncan's family has settled with Texas Health Presbyterian, on undisclosed terms, bringing to an end any threat of legal action against the hospital. In a sense, the tying up of this particular loose end feels like a distinct bookend on Ebola's time in the United States, which lasted all of two months — the U.S. is now officially Ebola-free, and while there's no guarantee until the harrowing West African outbreak is completely put to bed, America's health care infrastructure seemed more than prepared to handle the high-profile, highly lethal virus. At least, they were prepared to handle it after the first case that set off nationwide alarm — that of Duncan, whose treatment by Texas Health Presbyterian Hospital became a subject of great controversy. Despite checking in at the emergency room two days before he was actually committed, and exhibiting symptoms consistent with the early stages of Ebola infection — abdominal pain, headache, dizziness, and a high fever, among others — he was sent home with antibiotics and a false diagnosis of sinusitis. Four days later, he arrived again, this time in an ambulance, and was quickly diagnosed as the first case of Ebola in America, spurring a nationally watched press conference by Texas Governor Rick Perry, flanked by myriad health officials. The hospital and the Centers for Disease Control (CDC) alike suffered further criticism after lagging safety protocols resulted in the infection of two of Duncan's nurses, Amber Vinson and Nina Pham. Both of them survived, thankfully, as did Dr. Craig Spencer of New York City. According to reports, while the values of the settlement aren't known — the family's lawyer, Les Weisbrod, told the media that the information was confidential — there is at least one bit of information that's leaked out. While Duncan's family will be getting compensation for their loss, his former fiancee Louise Troh will not. According to reports, the settlement entirely leaves Troh out, according to Weisbrod, because they weren't yet legally married. This sounds like a difficult outcome to stomach — despite being quarantined in an apartment under armed guard, with Duncan's tainted bedclothes and sheets in the next room, and eventually losing her husband-to-be altogether under such awful circumstances, she'll receive nothing from the hospital. For Duncan's biological family, however, we can all only hope that they're able to achieve some comfort with however much money they'll receive, and can move on from this terrible ordeal. The Texas Health Resources Foundation has also announced they'll be setting up a charity to help support Ebola victims, according to the New York Daily News.